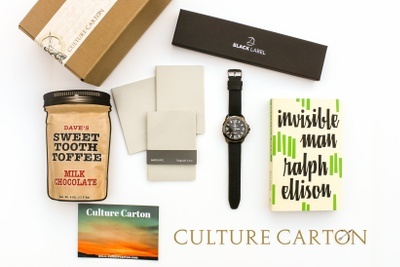 Enter your email address below to receive a notification when Culture Carton starts accepting new sign-ups! 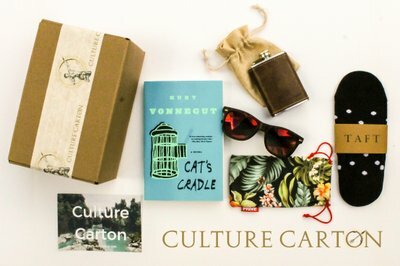 Enter your email address below to receive a notification when Culture Carton is accepting new sign-ups again. 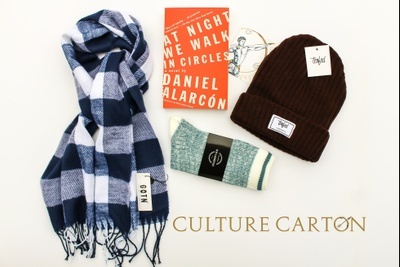 Subscriptions ship on the 17th each month. 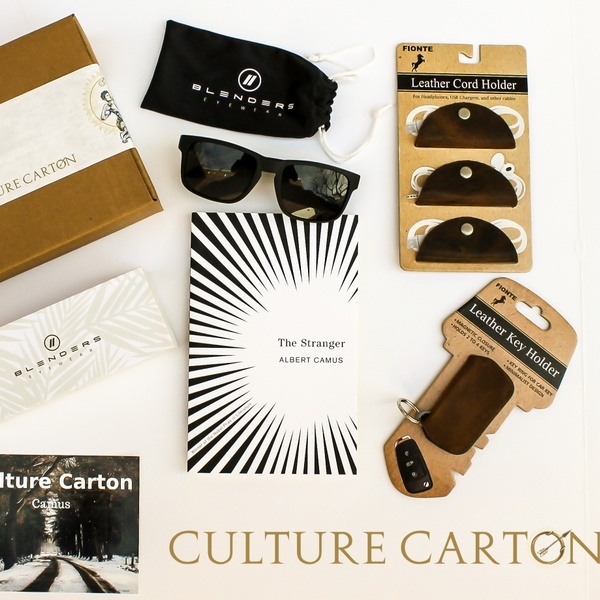 Order by the 16th to receive the latest Culture Carton! 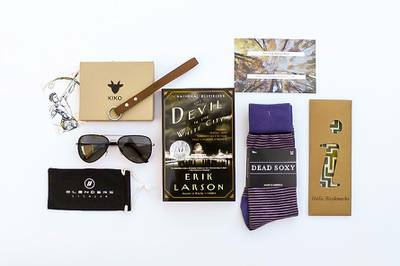 Every month receive a book that a cultured man would want in his growing library, along with select accessories curated around a monthly theme related to improving varying aspects of one’s self. 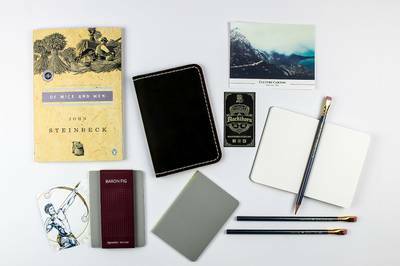 Improve your confidence, sophistication and knowledge! 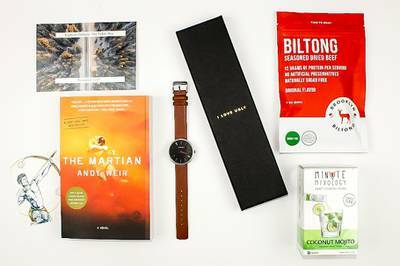 We take the effort out of looking for the best tools and resources for improving your life. 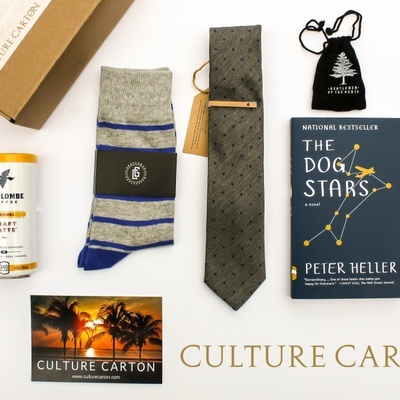 Every Culture Carton Standard includes a book + lifestyle items. 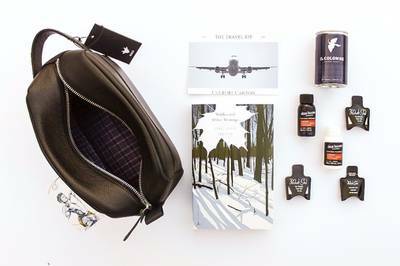 Lifestyle items are high quality & full size products including: style accessories, leather goods, EDC, grooming products, gourmet food, and much more! 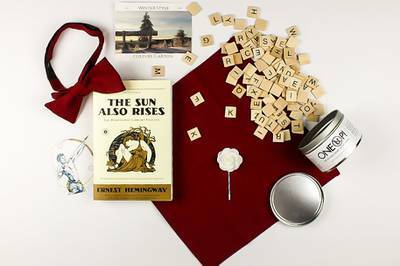 Book selections vary between classic fiction and modern fiction every other month. 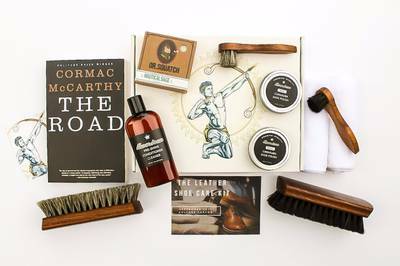 Boost your confidence, sophistication and knowledge, monthly. 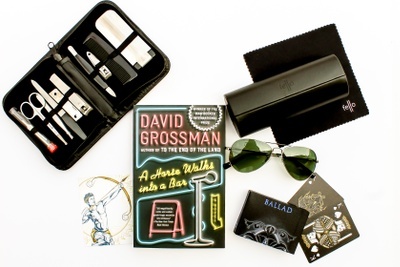 Ask us about Book Club (book only) and Essential (lifestyle items only) subscriptions. Ryan is a pleasure to deal. I was happy with my box. Give them a try. I’ve been looking forward to receiving this box! 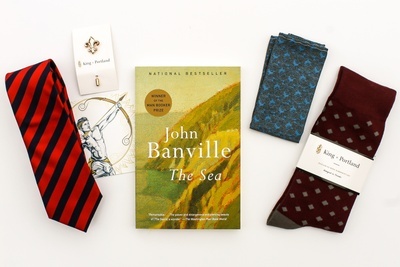 I loved the book, The Sea. It’s been on my list for awhile. I also really like the King x Portland socks. They are really soft and seem to be good quality. I wish the socks had matched the pocket square and tie, but overall I’m happy with my purchase. 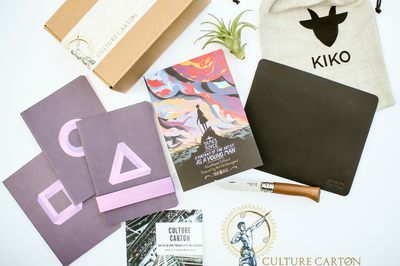 Subscription services inherently renew so it's not uncommon that subscribers cancel after signing up so their subscription does not renew, especially gift purchases like yours. If you would of reached out to us asking for a refund we would of been happy to make that happen. 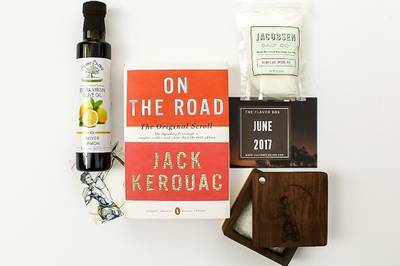 Great variety of items along with the book each month instead of different variations of the same stuff. My wife bought me a 6 month subscription as a gift for Christmas. I already received two boxes before Christmas, which I got to open on Christmas day! I've been enjoying the books - good variety on those too while still staying in the "smart" zone... of books that make you think and grow as a person. 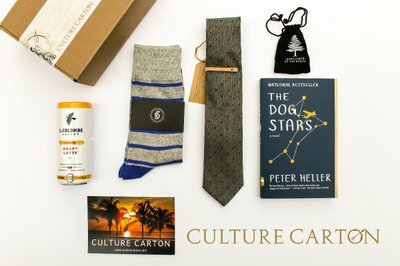 I love philosophy so if there was ever a philosophy subscription box (I've looked but haven't found one), this would be the closest thing. Instead of fluff fiction, it's got good meat to it while still keeping it light, especially with the other stuff you can enjoy in the box to take the edge off being too serious! The only downside is I live in Canada, which makes the box really expensive to ship ($25 US just for shipping each month). This is a huge turn off for renewing the subscription. The upside is that it ships fast. 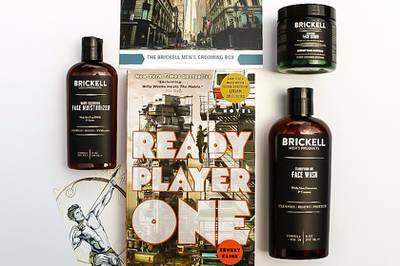 If you really think about it, you can get various boxes with neat stuff that don't cost as much to ship (because there is no book) and then just go buy the book at the local store. It wouldn't be as serendipitous and suspenseful but it would be more practical... if that's your sort of thing. I sent them an email about my box missing and someone contacted me this morning and offered to send me a new box! Thanks Ryan for the Christmas miracle!! 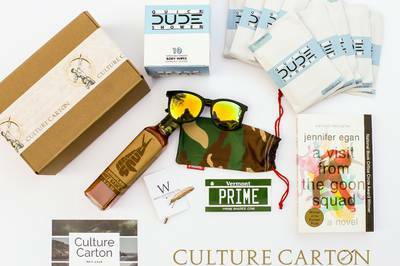 I received my first Culture Carton box this month and couldn't be happier. 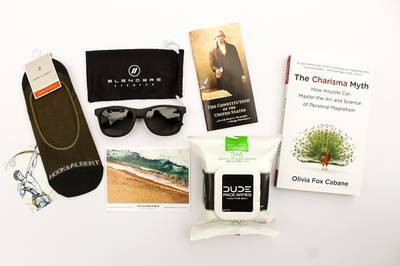 The book is excellent, the leather products were put to immediate use, and the Blender Polarized Shades came just in time. Can't wait to see what the next box brings. 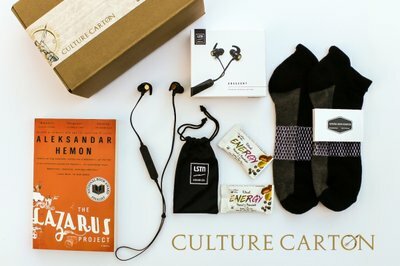 Solid monthly subscription with original unique products and quality reads. Highly recommend. So, it was my own fault for not paying attention as closely as I should. The picture is a misleading, and foolishly, I ended up paying $16 for a book that was torn and stained that sells new on Amazon for $10. Before you order, know what you're ordering. Its culture. 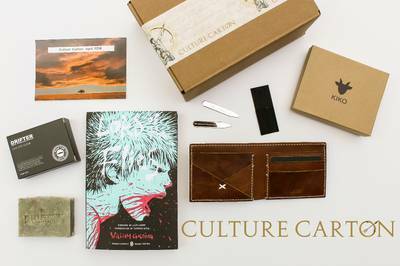 You get a monthly box of culture and its hand picked, quality items like these, such a great gift or for yourself, especially for those that have things, literature and cultured items never loose their appeal! Great stuff guys!